Phoenix Base Sdn Bhd, Malaysia. 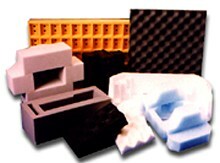 We produce packaging foam and corrugated boards. Incorporated in 1992, Phoenix Base Sdn Bhd is today a leading packaging solutions provider to many multinational corporations. Being a dedicated purveyor of quality packaging in Malaysia, we are constantly striving to enhance our market position by offering competitively priced products and services. By utilizing CAD/CAM, we are able to provide efficient JIT (Just In Time) delivery services to suit your every need. This unique "order-deliver-pay" system, affords you the luxury of NOT having to worry about countless man-hours spent on paperwork and other logistics. Also, it saves you more money in terms of storage space costs, as well as handling and holding costs. 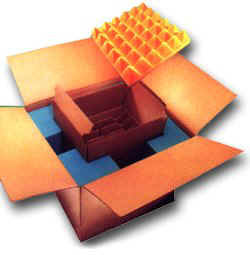 Phoenix Base Malaysia - Packaging Foam and Corrugated Boards.Phoenix Base Malaysia - Packaging Foam Phoenix Base Malaysia - Packaging Foam and Corrugated Boards.Phoenix Base Malaysia - Packaging Foam and Corrugated Boards.